Resting on the edge of medieval Kilkenny City, a cultural gem of festivals and historical sites., the Newpark Hotel offers award-winning service to visitors of all ages. 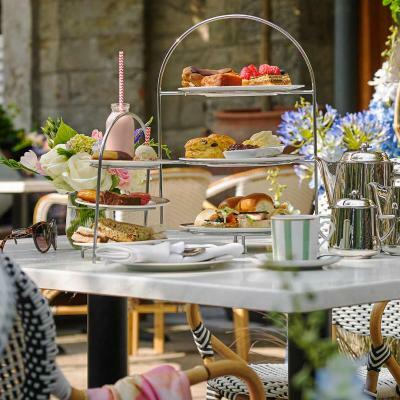 On over 40 acres of parkland, offering luxurious accommodation, a Health Club & Spa and fun filled kids’ activities, this family-friendly hotel is the ideal base for exploring Kilkenny. With elegant banqueting suites, suitable for a large or intimate Kilkenny wedding and spacious conference facilities, our dedicated team will ensure all your needs are met whether you are here for business or pleasure. 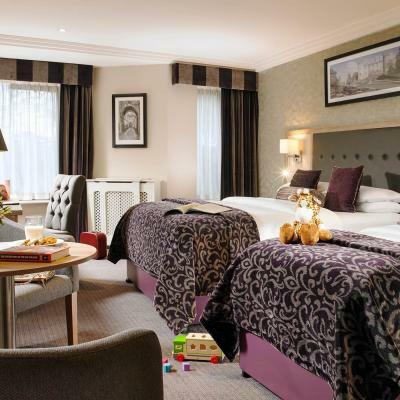 Easter BreaksEnjoy a Easter Family Break at the Newpark Hotel - see our selection of 2 & 3 Night Breaks with Kids Club included as well as our Complimentary On-site Activities. Escape for One NightEnjoy overnight dinner, bed & full Irish breakfast. Complimentary Bottle of wine in your room on arrival. Indulge with Afternoon Tea beside the fire.